Our group leaders / guides are the cream of the crop! They are the reason that Earthbound's all trip work so well and the reason why so many travelers return to us year after year. They are experienced guides chosen not only for their ability to make every trip more then you'd ever have hoped for, but also for their passion and commitment to Himalayas and the Earthbound way of travel. In addition to our group leaders, we also sometimes use western guides when we go climbing or visit special places. So we get the best of both worlds a western leader with the local know-how who understands your travel needs and our local friends and guides who share their knowledge and experiences. They are always caring and attentive. Our tour trek leaders / guide are there to organize the trip and provide you with advice and information, they will respect and encourage a traveler's needs to explore independently and will ensure the trip allows it. One of the great advantages of the Earthbound Expeditions' leader is the introduction they give you to the country you visit, pointing you in the right direction for the best place to eat or teaching some useful everyday phrases. However, you will probably find that you rely of them less and less during your trip as you become more adventurous and familiar with your surroundings. They are trained from the Nepal Academy of tourism and hotel management and related tourism trainning sectors and registered license holder. Have general training about first aid medical course and eco - tourism. Some of our guides have over 20 years of experience in tourism. So you will be lead by field tested guides. Here you will get to know about the team of "Earthbound Expeditions", their personal and professional backgrounds and their current role. You can find the words of praise about them in our "Testimonials" sections by our clients. Please go to our "Testimonials" sections to know more about them too. NIschal was born in a tourism hub of Nepal in Thamel district of Kathmandu. From a very young age he start knowing about tourists and their activities in his neighbourhood so he decided to help them in many ways ( pointing them the name of the places in the Map to giving right advice what to do and what not) . He was very passionate about the beauties and secrets that could be found within Nepal Himalayas. This together with his love for Hospitality encouraged him to come into the tourism industry. He has led trips to some of the most beautiful parts of the Himalayan region (i.e. Langtang and Annapurna Regions). Having met people from different countries and also travelled himself to few countries, he felt that the service provided by trekking companies in Nepal could be further improved to meet international standard. Therefore he started Earthbound Expeditions together with tourism experts. He started his career in tourism as a Front Desk Attendant at a Hotel in Thamel in 1994. In 1996, he joined a reputed trekking company, as tour and trek leader. During this period, he led the tours to entire Nepal Himalaya, Tibet, India and Bhutan. After leading many such tours and treks he established himself as a senior guide and later partnering with few of his friends, started an independent company with the banner "Earthbound Expeditions" in 1999. 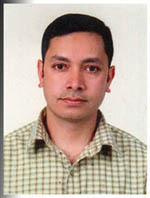 Mr. Badri who has served as professional trekking guide through out Nepal and Tibet is our regional Manager in UK. He studied hospitality management in Singapore for 18 months and now he live in UK (where he also study) and help us from there. 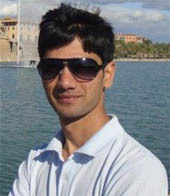 He basically plans the trips as well as gives information to our UK based customers. A cheerful young man is our guest relation manager. A student of a Management, he is here to help you in any regard from ticket re-confirmation to reservation to create your itinerary. Hav ebeen working in tourism over 7 years. He will assist you to issue / reconfirm your tickets to desired destination. Also some times he lead trips. Have been to all of the major trekking routes in Nepal including Tibet, Kailash and trainned as trekking guide from Govt. of Nepal. He has been guiding many of trips since 1998 and working with us since 2002. He have successfully trekked allmost all Nepal's Himalayas. Been to Tibet Kailash many times. Government trained. "To my trekking guide, Shreeram - the days we were together provided some deep insights into Nepalese culture and everyday life outside of the city. He give the visitor far more than can be found in a tourist handbook. This is meeting the real Nepalese people and finding a warmth that stays in the heart and travels home. This alone was worth the price of the journey. This does not even recount the sights brought to the eyes of the scenery, the monasteries or the palaces. The pictures do not do justice to these sights. Breathtaking does not describe them." He has been guiding / supporting many trips since 1997. He have successfully trekked all Nepal's Himalayas. Been to Tibet, also particiapted in Tenzing Hillary Everest Marathon - race. Government trained. The guide Ram was very friendly and helpful and he knew a lot about the nature and culture of the Annapurna area.The accommodations he choose were very fine and the minibus was nice to travel with. I want to thank you for all your help from the beginning to the end. I am really happy that I booked both trips by Earthbound Expedition." A cheerful young man is our office assistance. He will assist you to issue / reconfirm your tickets to desired destination. He also have been to some treks and help us to office work here as well. Sudip has been guiding many trips since 2005 with us . He have successfully trekked almost all Nepal's Himalayas Everest, Langtnag, Annapurna, Dhulagiri, Tilicho. A cheerful gentleman is here to assist you. Government trained. He has been guiding many trips since 1992. He have successfully climbed Amadablam, Everest, Cho-Oyu and other small peaks many times. He is a main person of our company to lead the high altitude treks/climb. Government trained. 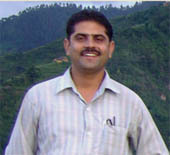 Mr. Shree Ram Adhikari (B ) - Trekking Guide (English). Mr. Shree joined us in 2007 as trekking porter and now promoted as a guide. . A shy gentle man have successfully trekked almost all Nepal's Himalayas Everest, Langtang , Annapurna. Government trained. A cheerful man is a very experinced trekkinmg cook and assistance. Always very friendly and welcome guets with his big smile. Very polite and hospitable and have been to almost all of the mountains of Nepal Everest, Annapurna, Langtang, Mustang, Dolpo, Tibet kailash area. He has been guiding many trips since 1989. He is a very good cook as well and have supported many expedition teams in Mt. Everest. He have successfully trekked all Nepal and Tibet's Himalayas. He is a main person of our company to lead the high altitude treks specially with the French trekkers. Well experienced safe hand. He has been guiding many trips since 1994. He have successfully trekked all Nepal and Tibet's Himalayas. He have been up to the North col of Mt. Everest, he is a good climber as well. This gentleman will assist our any country trekkers to make their trek successful and memorable. Government trained. This five are our regular supporter (porters) and cook assistance. These are our regular staffs but we hire a lots of porters , cooks and guides when necessary in season time.